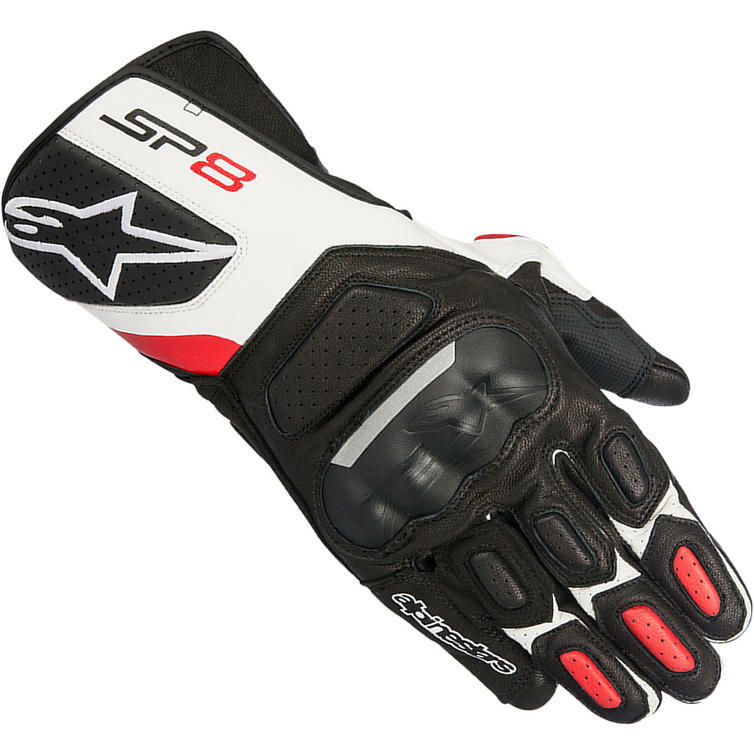 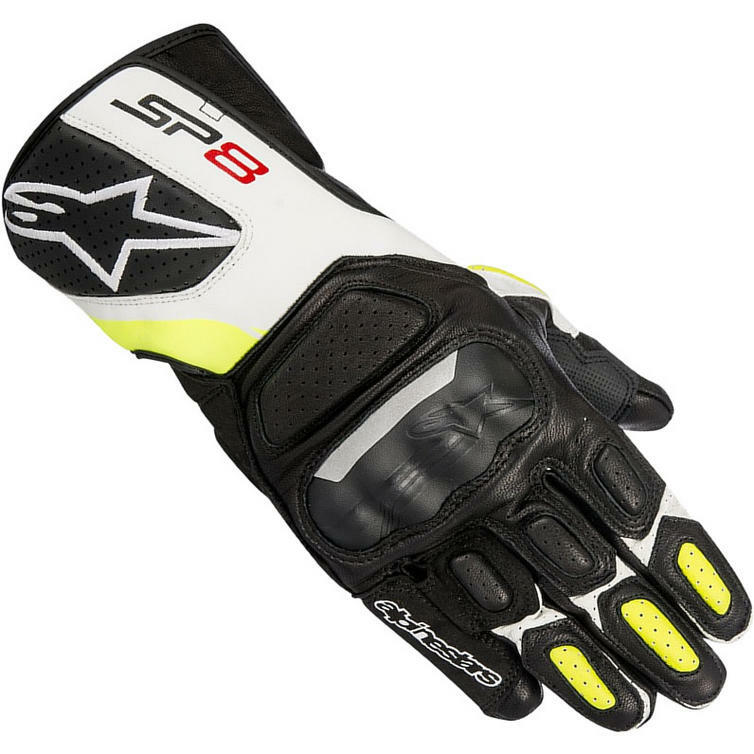 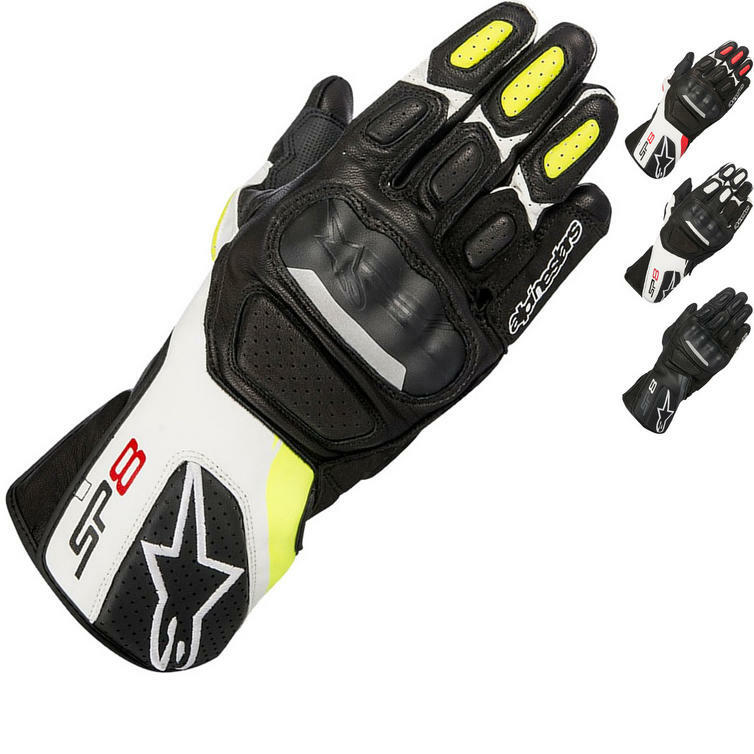 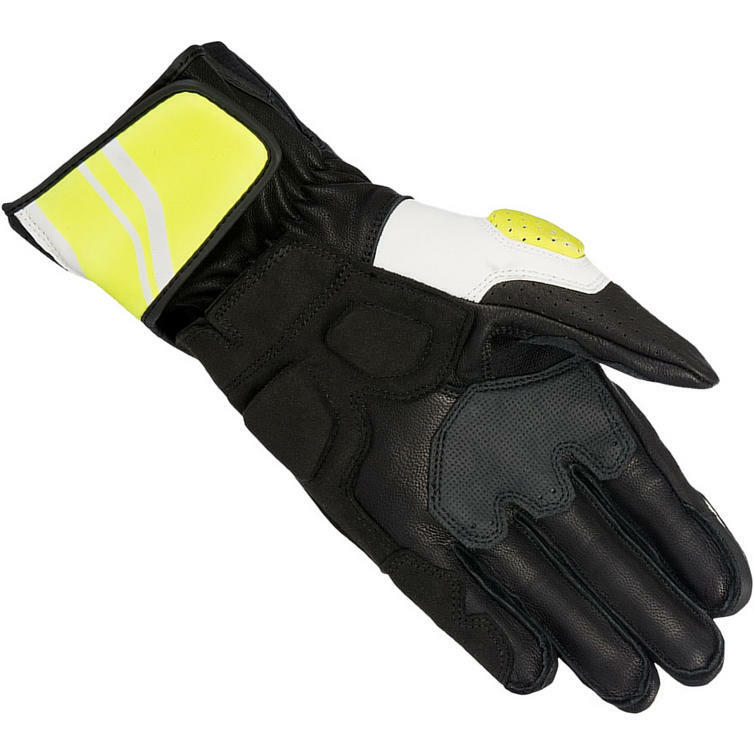 The Alpinestars SP-8 v2 Leather Motorcycle Gloves are part of the latest Alpinestars collection. 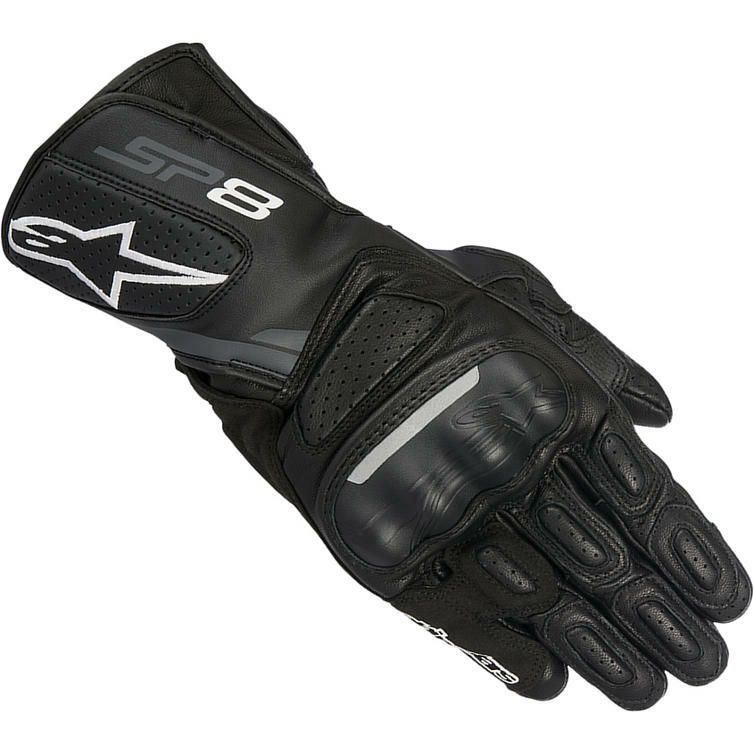 A CE certified glove constructed from highly abrasion resistant, full grain leather and featuring a rugged polymer knuckle protection, the SP-8 V2 offers high levels of protection, movement and comfort. 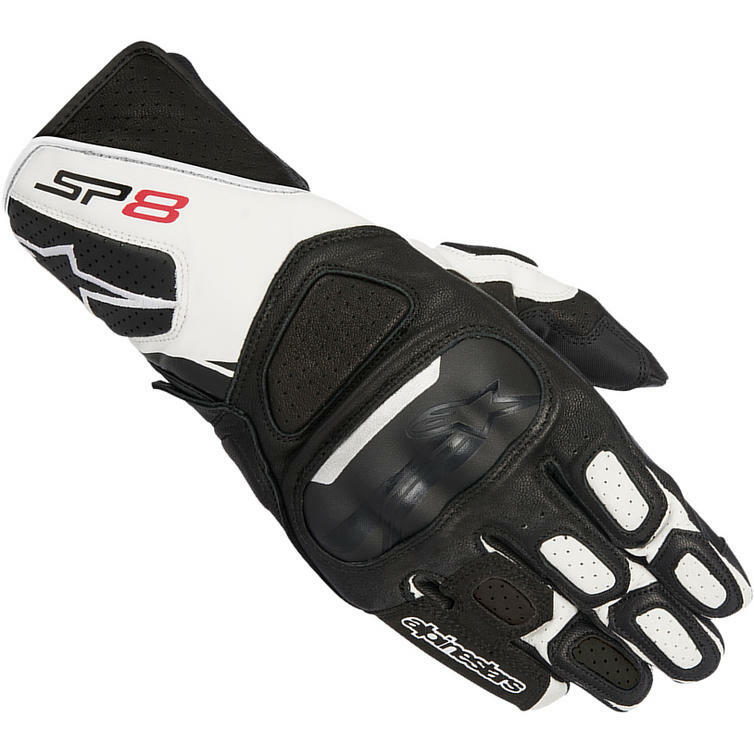 With a pre-shaped finger construction, a Velcro® cuff closure and a new anatomically profiled grip insert on palm and thumb, this glove affords a secure and highly personalized performance riding fit.